The process of searching for a job has changed forever. Today employers believe a job seeker’s online presence is just as important as his or her resume. With the number of highly skilled, experienced workers who are currently unemployed, job seekers need to find a way to make themselves stand out from the crowd. SocialCareerBuilder.com gives you the tools to go beyond just having a good resume online by helping you build a professional network that will put you in front of hiring managers for the jobs you are looking for. Hiring managers are looking for individuals who are leaders in their field, who can step in right away and take the company to a new level of success. A profile on SocialCareerBuilder.com helps job seekers show hiring managers that they are more than just a resume which will improve their chance of being found and hired. An individual’s online presence has replaced the traditional background check. Hiring managers type an applicant’s name into Google before deciding whether to bring the applicant in for an interview. In many cases, hiring managers will find negative content, which can be anything from unprofessional tweets to news of the individual’s arrest. SocialCareerBuilder.com will help students, recent graduates, job seekers, top executives, and everyone in between harness the power of social media while protecting their professional online presence. A Company Profile on SocialCareerBuilder.com will help candidates learn more about your business, industry and products and services you offer. 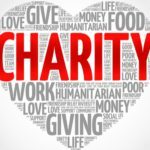 In addition SocialCareerBuilder.com also provides valuable insight with reviews from past and present employees to help job seekers learn more about the real company culture and if their skill set and personality are a match. Once you have attracted the right group you can be assured not to lose a single candidate by promoting your company and current job opportunities on several different media outlets over our established network to ensure the right candidates reach your inbox. 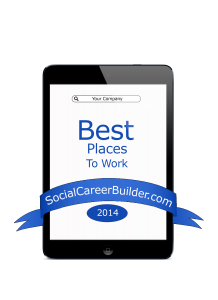 SocialCareerBuilder.com is celebrating companies that make work enjoyable with it’s Best Places to Work Award. 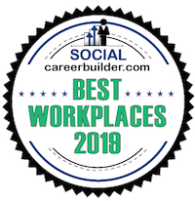 Unlike other awards that just take into account employee feedback we here at SocialCareerBuilder.com look at all the important metrics that make up a great company to work for from it’s growth mode or transition to how many candidates are trying to get into the company. Looking at the work force hiring and turnover trends, can give you key insight as to the culture and stable work environments that many of our candidates have told us they are looking for in some of the best places to work. To learn more visit the Best Places to Work page on our SocialCareerBuilder.com site.